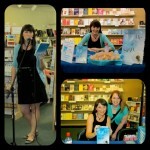 It seems like just yesterday I was writing this poem and preparing for my debut novel to release. In reality it was 15 months ago. But look at my book baby! It’s all grown up and in paperback form now. I love it & hope you do too! * I’m pretty sure it would be impossible for the design team at Walker-Bloomsbury to be any more talented! *** Yes, you CAN pre-order it already (IndieBound, Amazon, Barnes & Noble) AND, yes, I WILL gladly send you a signed bookplate if you’d like. 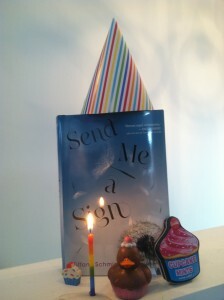 Send Me a Sign turns one today. I think this is a perfectly valid excuse for cake. It’s also a perfectly valid excuse for a contest. *Contest is open to U.S. and Canada. Thanks for understanding that international postage gets pricey! Things that Change… and Things that Don’t. Um, yes! That thing that teachers and books and movies constantly cite as the paper trail* that will make or ruin your whole future—I was dying to get a look at it. It turns out it’s mostly vaccine records and report cards and the various results of standardized tests. Other people’s may be wicked exciting, but mine was really disappointingly boring… which is surprising, because I was/am quite the hijinks-magnet. Today, the first day of 2013**, seemed like the perfect time to reflect on things that change and things that don’t. Last year brought me so many nights of lying awake because I’m too excited to sleep. Or too impatient to sleep. Or too nervous to sleep. Summary: there hasn’t been much sleep—(I’m hoping 2013 is the year of the pillow). 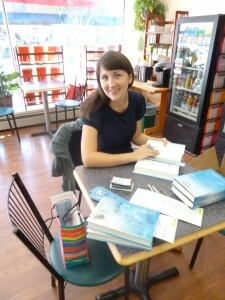 But 2012 brought me many new friends: writers, readers, bloggers. And I’m grateful for each of them. I’m not sure about 2013*****. 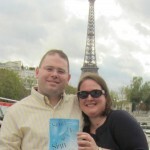 I don’t have a book coming out this year; my next novel is slated for release in March, 2014. 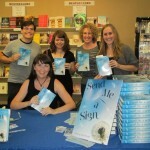 So there’s definitely some fear that all those “Really?” readers of Send Me a Sign will forget about me. There’s also a sense of restless that’s already creeping in—what is my goal for the year? What am I working toward? My natural tendency is going to be impatience for 2014—and since I’m not okay with rushing through a year of my life to get to Bright Before Sunrise—I’ve decided my resolution will need to be slowing down, focusing on THIS moment, enjoying the now, and letting what’s-next? come at it’s own pace. 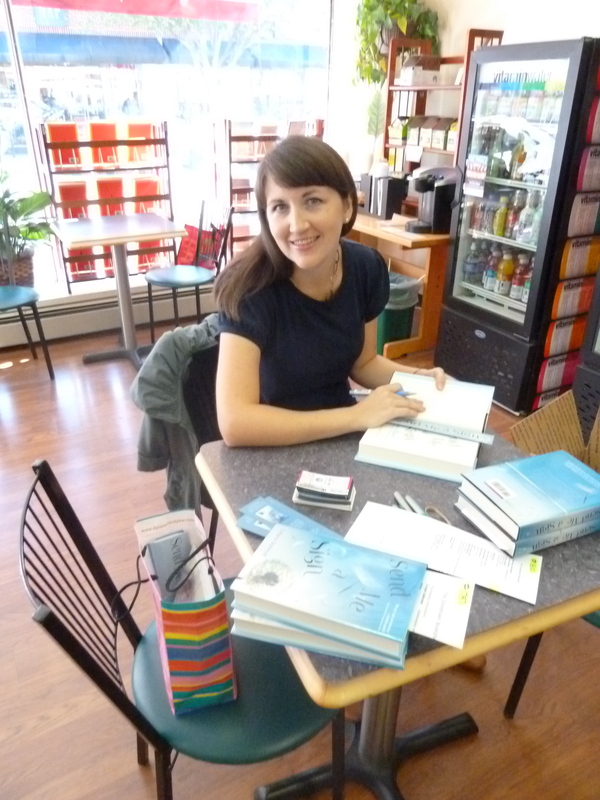 And, of course, writing more books: dialogue first. *Yeah, they’re probably not on paper anymore, huh? **** I still go tiptoe in The Schmidtlets’ room sometimes at night and whisper, “Do you know I get to keep you?” Um, but in a totally non-creepy, momma-adoration way. ***** Nailed it first-try that time! It’s still hard to believe that this is real. 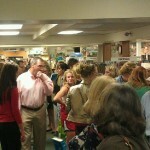 Perhaps most surreal of all was last Friday’s release party at Doylestown Bookshop. 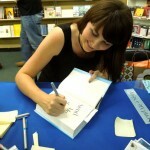 I’ve had a whole week to process it and beam at the photos, but I’m still in pinch-me mode. I’m still in teary-eyed gratitude mode. 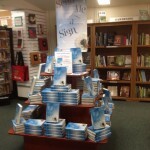 Last night when I couldn’t sleep, I tried counting sheep, St.Matt’s snores, and the minutes until the local bookstores opened and I could go see Send Me a Sign in the wild. It’s the eve of release day, I pace at the sink. This author’s not sleeping, not even a wink. The Schmidtlets are dreaming, all snug in their cribs. And St.Matt is snoring, despite my pokes to his ribs. 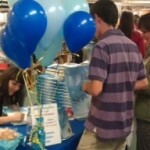 Tomorrow readers meet Gyver, Hil, Ryan, and Mi. Look for the cover with dandelions. It’s pretty! 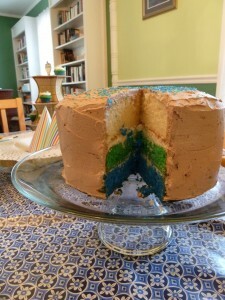 It’s blue! 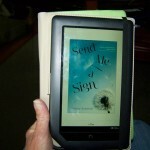 In swirly-whirly letters it says: SEND ME A SIGN. 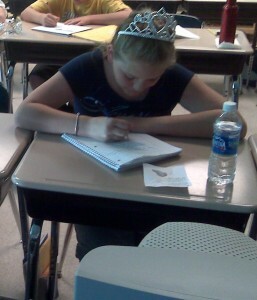 And the pages, the story, I wrote them, they’re mine. Which is why I’m up pacing, wearing grooves in my floors. Not to sleep, but to read — I love my book light! … Is it obvious yet that I was never a poet? 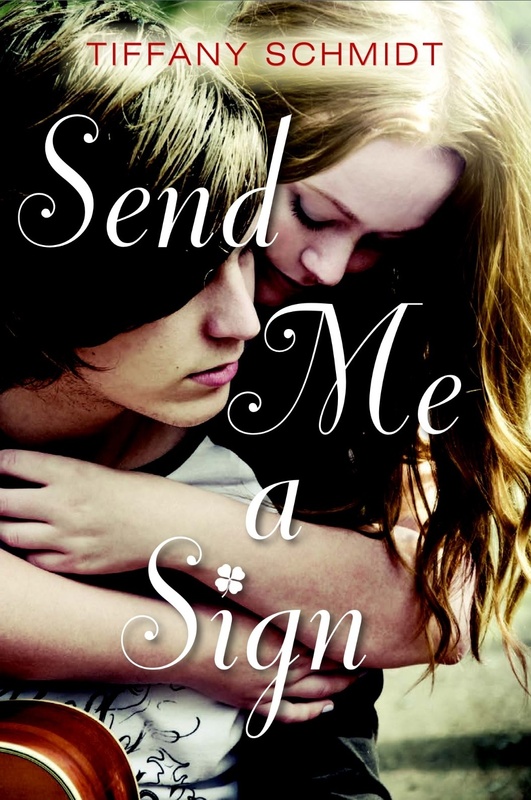 I could not be more excited to be sharing SEND ME A SIGN with readers today. But, really… I have one of these every year. Want to know what’s MUCH bigger news? After all, I’ve had 32 birthdays, but this is my first book trailer. 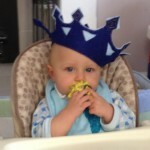 …or else I’ll make you wear The Schmidtlets’ birthday crowns. Now that you’ve seen the trailer, you’re practically salivating to read the book, right? Well, have you heard how YOUR pre-order means I’LL donate $2 to cancer charities? 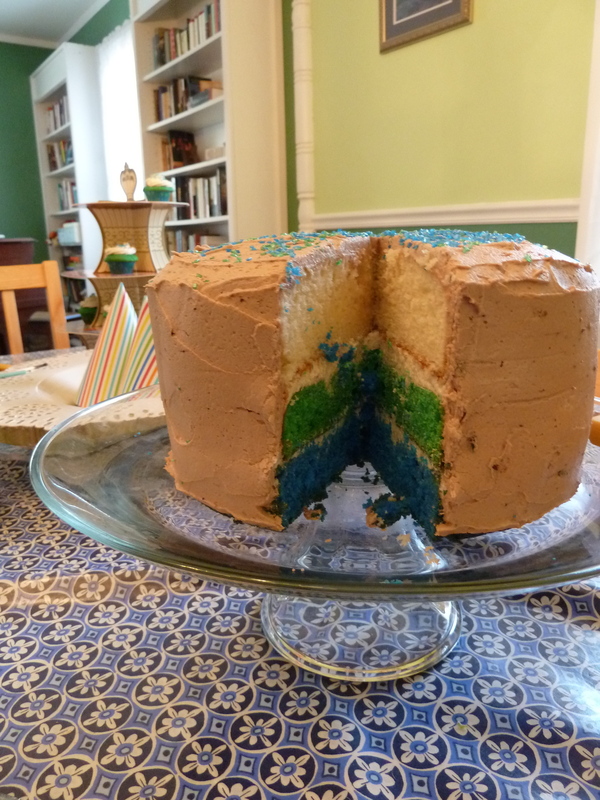 3) Do a happy dance & get yourself some cake. 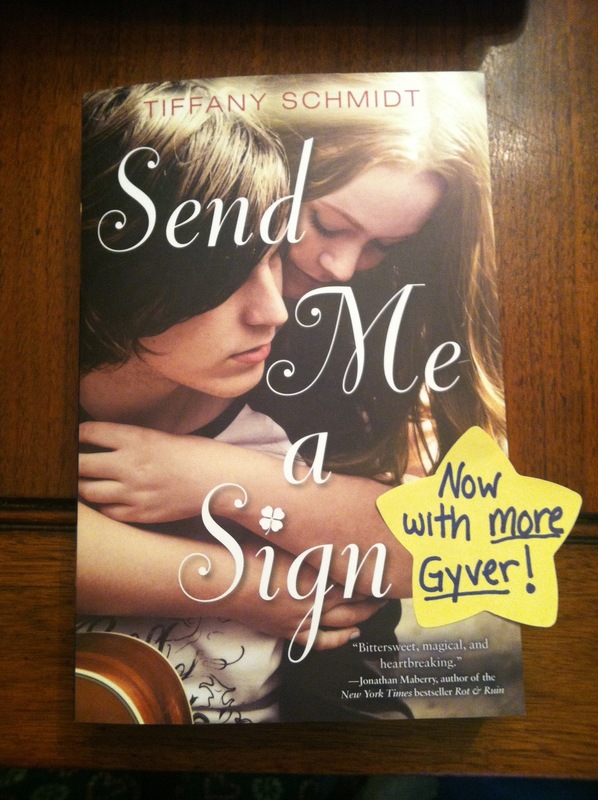 Thank you to everyone who entered my ARC giveaway! Maria C. and Meagan R.
Congrats, chickadees! I’ll get those books in the mail right away! For the rest of you — you’ve still got until 9/1 to enter the giveaway that Walker-Bloomsbury is hosting on GoodReads — and they have FIVE copies. Go enter and GOOD LUCK!